When I travel to share our story from Atlanta, I enjoy learning about what’s going on in different cities around the world. Below is a selection of past and future speaking engagements. NEXT UP: Los Angeles. May 23. NEXT UP: Charlotte. May 9-10. “Where We Want to Live.” 2019 Sports Industry Summit. Huaquio University. Xiamen, China; March 30, 2019. “Where We Want to Live.” ULI Virginia. Williamsburg, Virginia; March 27. “Where We Want to Live.” College of Coastal Georgia. Brunswick, Georgia; March 21, 2019. “People With Purpose.” AIA Grassroots Conference. Washington DC; March 7, 2019. Fuckup Night. Atlanta; February 21, 2019. “Where We Want to Live.” Virginia Tech, Intelligent Infrastructure for Human-Centered Communities. Blacksburg, Virginia; February 13, 2019. “Where We Want to Live.” Carolina Thread Trail Forum. Charlotte; December 6, 2018. “The Cultural Side of Infrastructure.” FAB Biennial. Mumbai; December 1, 2018. “Where We Want to Live.” Cummer Museum. Jacksonville; November 14, 2018. “Infrastructure for People.” CivicCon. Pensacola; November 6, 2018. “ReTHINK – cultural expectations.” Charlotte; November 1, 2018. “Where We Want to Live.” North Florida Safe Streets Summit; St Augustine; October 17, 2018. “Where We Want to Live.” ULI Fall Meeting – Changing World Speaker Series; Boston; October 12, 2018. “Where We Want to Live.” SmithGroup. Washington DC; September 25, 2018. “A Brighter Path Forward.” Power of Ten Summit. Nashville; September 13, 2018. Keynote. Emory Class Day. Atlanta; May 10, 2018. “Participatory Creativity.” High Museum of Art. Atlanta; April 28, 2018. “Where We Want to Live.” Livin’ in the City Summit. Las Vegas; April 25, 2018. “The Future States of America: Using the Arts to Take Us Where We Want to Go.” The National Arts Summit, The Kennedy Center. Washington, DC; April 16, 2018. “Where We Want to Live.” New Zealand Institute of Landscape Architects. Aukland; April 13, 2018. “Where We Want to Live.” Gulf Coast Safe Streets Summit. Tampa; February 27, 2018. “Where We Want to Live.” The Last Mile/Downtown STL. St Louis; February 13, 2018. “Where We Want to Live.” Chattanooga Design Studio. Chattanooga; February 8, 2018. “Made in Atlanta.” Switchyards. Atlanta; November 16, 2017. “Where We Want to Live.” University of Arizona. Tucson; November 15. “Where We Want to Live.” SCAPA conference. Myrtle Beach, South Carolina; November 2, 2017. “Where We Want to Live.” Kansas State University/Kansas City Design Center. Manhattan/Kansas City; October 25/26, 2017. “Finding the Flint.” Sustainable Airport Areas International Seminar, Paris CDG; October 19, 2017. “The Future of Atlanta – Designing for Equity, Resilience, and Civic Identity.” Healthy City Design International Congress. London; October 16, 2017. 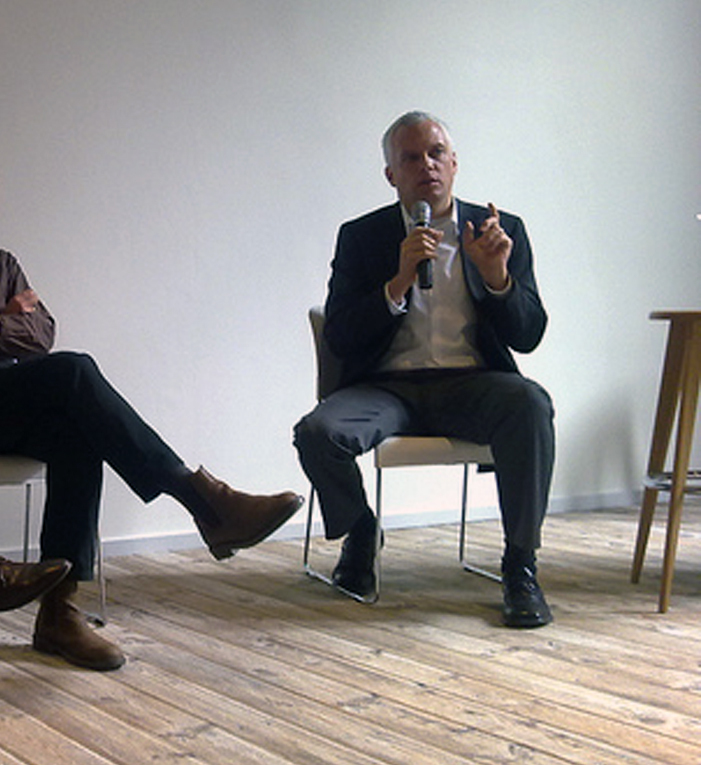 “Where We Want to Live.” Future:Proof – Public Space Symposium. Toronto; October 13, 2017. “Taking it Home: Keys to Regional Leadership.” Atlanta Regional Leadership Institute. Savannah; October 5, 2017. “Where We Want to Live.” Regenerate Christchurch. Christchurch; New Zealand; June 26, 2017. Civic Infrastructure Forum. Philadelphia; April 26-27, 2017. “Vision53 Accessing the Chattahoochee Waterfront.” Georgia Trail Summit. Columbus, GA; April 20, 2017. “Where We Want to Live.” Atlanta; Federal Reserve Bank. Atlanta; April 11, 2017. “Where We Want to Live.” Urban Development Institute of Australia. Perth, Australia; April 5, 2017. “Where We Want to Live.” Sandy Springs Conservancy. Sandy Springs, Georgia; March 30, 2017. “Where We Want to Live.” Virginia Festival of the Book. Charlottesville; March 25, 2017. “Where We Want to Live.” ULI Carolinas. Charlotte; March 24, 2017. “Where We Want to Live.” South Carolina Housing Policy Summit. Columbia, SC; March 22, 2017. “Where We Want to Live.” Alabama Commercial Real Estate Conference. Birmingham; February 10, 2017. “Where We Want to Live.” St. Louis; November 15, 2016. “Where We Want to Live.” AIA. Memphis; November 17, 2016. “More than a Trail.” ASLA. New Orleans; October 21, 2016. “Public Art & Spaces” Elevate. Atlanta; October 20, 2016. “Where We Want to Live.” Purpose Built Communities. Birmingham; October 18, 2016. “Where We Want to Live.” SPUR. Oakland; October 12, 2016. “Live, Work and Play with Trail-Oriented Development.” Rail~Volution. San Francisco; October 11, 2016. “Infrastructure & Adaptation.” Detroit City of Design Summit. Detroit; September 22, 2016. “Aerotropolis – City of the Future.” Sustainable Airport Areas International Seminar. Atlanta; September 21, 2016. “Where We Want to Live.” Bruce Goff Chair of Creative Architecture. University of Oklahoma; September 7, 2016. “Reclaiming Infrastructure.” OU Community Design Center. Oklahoma City; September 6, 2016. “Where We Want to Live.” Decatur Book Festival. Decatur, Georgia; September 4, 2016. “Where We Want to Live.” CoreNet Atlanta Educational Forum. Atlanta; August 18, 2016. “Where We Want to Live.” CEOs for Cities. Des Moines; June 28, 2016. “Where We Want to Live.” Memphis Greenprints; Memphis; June 23, 2016. “Smart City: Design Infrastructure Meets Culture.” MA! Design is Human. Metropolis Magazine, Atlanta; June 8, 2016. “Where We Want to Live.” Knight Cities Challenge Winners Summit. Philadelphia; June 2, 2016. “Where We Want to Live.” Fifth Annual Transportation Summit. Fort Lauderdale; May 18, 2016. “Reclaiming Infrastructure.” ULI Kentucky. Lexington; May 13, 2016. “Future of Buford Highway.” Buford Highway Bus Crawl. Chamblee; April 27, 2016. BOOK TALK. “Where We Want to Live.” Georgia Tech; April 15, 2016. “Where We Want to Live.” EarthShare of Georgia Earth Day Leadership Breakfast. Atlanta; April 14, 2016. “Where We Want to Live.” National Congress on Housing and Homelessness. Montreal; April 12, 2016. BOOK TALK. “Where We Want to Live.” Avid Bookshop. Athens; March 17, 2016. BOOK TALK. “Where We Want to Live.” Southface’s Greenprints conference. Atlanta; March 16. “Where We Want to Live.” Congress for New Urbanism, Florida Chapter. Seaside; February 19, 2016. “Infra-Culture – New Intersections of Urban Mobility & Land Use.” Eastside Rail Corridor Summit. Seattle; January 9, 2016. “Where We Want to Live.” Atlanta Chapter, Congress for New Urbanism. Atlanta; December 2, 2015. “You Deserve Better Infrastructure.” Rails to Trails Conservancy luncheon. Baltimore. November 20, 2015. “Transit and the Next Infrastructure.” Wheels – South Florida. Miami; November 13, 2015. “You Deserve Better Infrastructure.” Affordable Housing Design Leadership Institute. Atlanta. November 4, 2015. “Infra-Culture – How innovative, community-driven ideas are reclaiming obsolete infrastructure as renewed conduits of urban life.” Detroit Design Festival. Detroit; September 22, 2015. 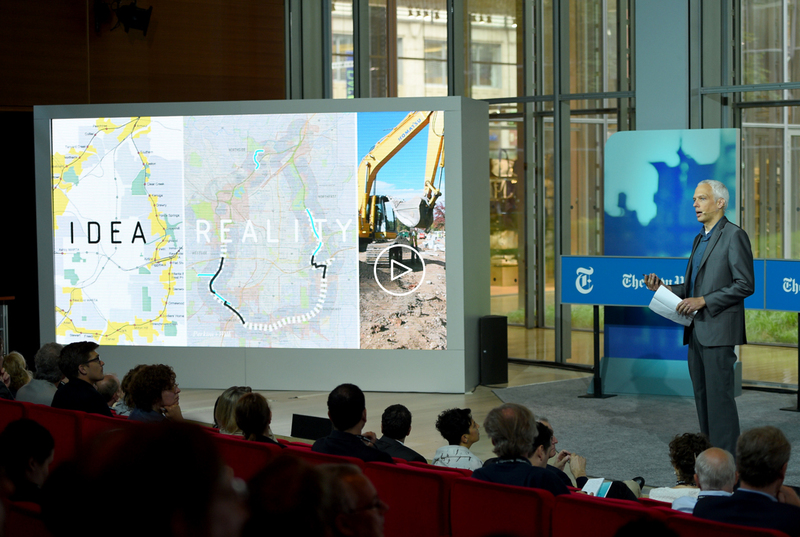 New York Times “Cities for Tomorrow” conference. New York City. July 21, 2015. (video.) < 3 MINUTE VIDEO. “Spotlight: Atlanta Beltline.” Newaukee’s 2015 YP Week. Milwaukee. April 17, 2015. “Bikes & Hikes & the Atlanta Beltline.” Greater Miami Chamber of Commerce, Transportation and Infrastructure Breakfast. Miami; March 19, 2015. “Why Do I Live Here? The Atlanta Beltline is building a city worth living in.” Auburn University, College of Architecture lecture series. Auburn, Alabama; February 25, 2015. “The Atlanta Beltline; More than Infrastructure; Infra-Culture.” Canadian Urban Institute’s Canadian Brownfields Conference. Toronto; October 29. “Revitalizing the Tracks; Redesigning for Resiliency.” SXSW Eco. Austin; October 6-8. “Healing Districts: Public Health from the Neighborhood Up.” Eco-Districts Summit. Washington DC; September 25-26. “More than Infrastructure – Infra-Culture.” Affordable Housing Design Leadership Institute. Los Angeles; September 16-18. “Learning from Atlanta: Urbanism and Civic Rebirth.” University of New Mexico lecture series. Albuquerque; September 15. “More than Infrastructure – Infra-Culture.” We Are City [Summit]. Indianapolis; August 21, 2014. “#makeityourown.” Living Walls – The City Speaks 2014 conference. Atlanta; August 15, 2014. “The Atlanta Beltline – A Catalyst Infrastructure for a Healthier Way of Life.” 10th World Congress on Design and Health. Toronto; July 10, 2014. “Infra-Culture – Our Future & The Atlanta Beltline.” Keynote; Georgia Utility Contractors Association 2014 Annual Conference. Destin; June 13, 2014. “Infra-Culture.” Atlanta Cycling Festival, Pecha Kucha night. Atlanta; June 8, 2014. “Building Cities We Want to Live In: Learning with the Atlanta Beltline.” ULI Memphis. Memphis; May 14, 2014. “Infra-Culture.” Public Interest Design Institute. Salt Lake City; May 9, 2014. “Atlanta BeltLine Health Impact Assessment.” American Planning Association National Conference. Atlanta; April 27, 2014. “Transforming America’s Cities with Infrastructure.” American Planning Association National Conference. Atlanta; April 27, 2014. “Infra-Culture.” LBJ School of Public Policy, University of Texas. Austin. April 22, 2014. “Visioning Trails in Urban and Rural Environments.” Georgia Trails Conference. Athens, Georgia. April 12, 2014. “Transforming an Economy through Sustainable Infrastructure.” Texas Trails & Active Transportation. Fort Worth. March 27, 2014. “Renewing Infrastructure for Health and Development.” ULI Building Healthy Places Conference. Los Angeles. February 20, 2014. “Don’t Hold Your Breath.” Public Interest Design Institute. Raleigh; December 14, 2013. “Public Space, Civic Identity and the Cultivation of a new Atlanta.” High Museum of Art’s show “The Art of the Louvre’s Tuileries Garden.” Atlanta. December 12, 2013. “Circles and Circularity.” The Atlanta Contemporary Art Center. Atlanta; November 21, 2013. “Transforming an Economy through Sustainable Development.” ASCE’s Green Streets, Highways and Development Conference. Austin, Texas; November 6, 2013. “As Many Gains As Losses.” Green ARTery Celebration Day. Dinner Speaker. Tampa; September 28, 2013. “Beyond the BeltLine Basics – Lesser Known Sustainability Initiatives.” The Georgia Environmental Conference. Jekyll Island, Georgia; August 22, 2013. “Don’t Hold Your Breath.” Public Interest Design Institute. Atlanta; July 13, 2013. “As Many Gains As Losses – The Atlanta Beltline and a New Generation of Catalyst Infrastructure.” Cleveland Urban Design Commission Lecture Series. Cleveland; April 26, 2013. “Urban Mobility and Community Design: Going Beyond Convention.” Rail~Volution. Los Angeles; October 15, 2012. “Make-ing Space – 6 Dialogues.” University of Pennsylvania. Philadelphia; September 27-28, 2012. “Designing Healthy Communities” Healthy Places Summit response panel. Congress for New Urbanism, Atlanta Chapter. Atlanta; September 19, 2012. “Transformational Greenways.” Houston Parks Board. Houston; June 27, 2012. “On Track: Atlanta’s Railroad Past and Future.” Atlanta Cyclorama. Atlanta; May 30, 2012. “Visionaries in Action.” Closing Plenary Panel at Park Pride’s Parks & Greenspace Conference. Atlanta; March 26, 2012. “Catalyst Infrastructure.” Emerging Voices 2011 at the Museum of Design Atlanta. Atlanta; January 19, 2012. “The Atlanta BeltLine.” Allegheny Riverfront Green Boulevard Stakeholder Group. Pittsburgh, December 12, 2011. “Re-Vision Atlanta: Revitalization without Displacement.” National Organization of Minority Architects (NOMA) National Conference. Atlanta; October 20, 2011. “Railway Trails and Transit Greenways.” Rail~Volution 2011. Washington DC; October 19, 2011. “Station to City – Transit Oriented Development in Three Continents.” Rotterdam Architecture Film Festival. Rotterdam; October 7, 2011. Georgia Environmental Conference. Savannah, Georgia; August 2011. “Detroit by Design” Transportation Symposium and Exhibit. AIA Detroit Urban Priorities Committee. Detroit; April 2011. “Grand Plans/Everyday Life: Le Grand Paris/Atlanta Beltline.” A symposium by Georgia Tech and the French Consulate of Atlanta. Atlanta; December 2010. “Capturing Hidden Value in Local Assets.” The Urban Leaders Summit/CEOs for Cities. Detroit; November 2010. “Tightening Our Belt: Sustainable City Strategies from Atlanta’s BeltLine.” Green Building/Sustainable Transport & Mobility Conference. Johannesburg, South Africa; April 2010. “Federal Partners Summit II: Federal Agencies Partnering for Reuse.” Sponsored by EPA Southeast Region. Atlanta; February 2010. “Tightening Our Belt: Sustainable City Strategies from Atlanta’s Beltline.” Green Building Focus Conference. Birmingham, Alabama; July 2009. Congress for New Urbanism Southeast Regional Conference. Atlanta; 2007. North American Transportation Conference. University of Sinaloa, Culiacan, Mexico; 2007. Rails-to-Trails Annual Conference. Minneapolis, Minnesota; 2004. Rail~Volution Annual Conference. Los Angeles, California; 2004.